As a means of kindling enthusiasm for the Olympic Games and a reminder of their imminence the poster has its own special mission. 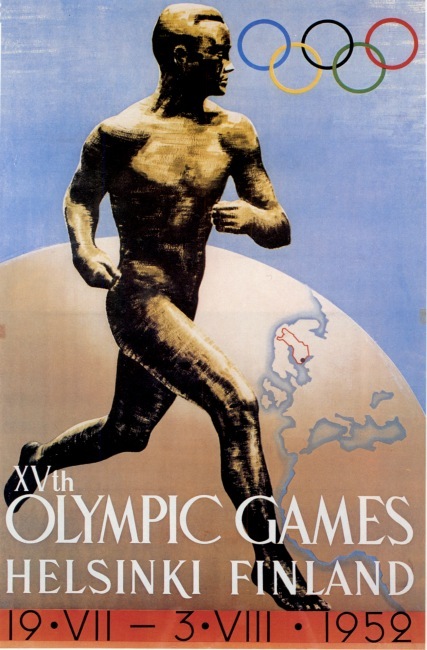 The »Paavo Nurmi» poster designed for the 1940 Games by the Finnish artist Ilmari Sysimetsä needed only minor alterations to be suitable again. A new competition in 1950 brought forth 277 designs, not one of which, however, could measure with the »Nurmi» poster.